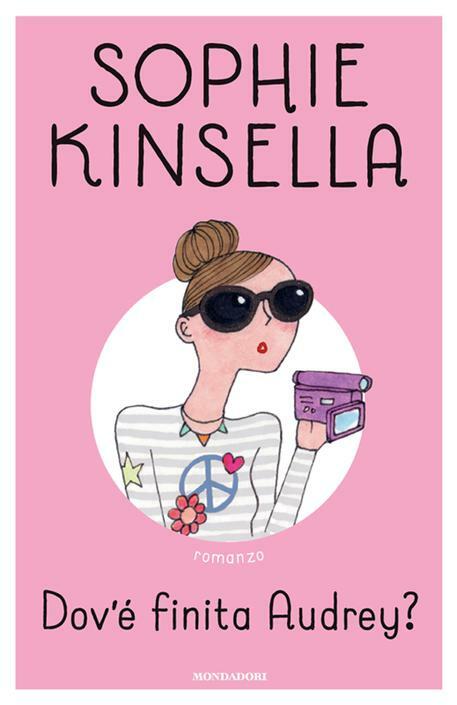 ‘Finding Audrey’: Audrey gets a pink makeover in the Italian edition of Sophie Kinsella’s YA novel – MP! ‘Finding Audrey’ is about exactly that: finding the Audrey that lives behind her anxiety and dark sunglasses. It might take a few trips to Starbucks, and even more cute notes from an equally cute boy, but step by step, she’ll get there. We love the cover for Sophie Kinsella’s sweet, funny book – it’s simple, cool, and we never thought we liked aqua stripes before, but it works. However, not everyone in the world will be going out to get their hands on this exact copy. In fact, Italy is one of the country’s where Audrey looks a little bit different from this edition. Dark sunglasses, video camera, and brown hair? Yep, definitely Audrey. What do you think of the Italian cover, or do you have a special place in your heart for green stripes? Let us know.